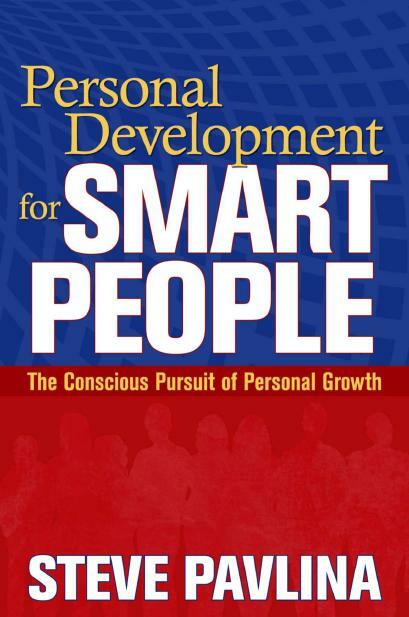 Between Jewish holidays (currently in the season of Sukkot) and family emergencies (currently preparing to take my cat to the vet), I’m reading Steve Pavlina’s book, Personal Development for Smart People: The Conscious Pursuit of Personal Growth. I’ve been following Steve Pavlina’s blog on and off for years. His views are sometimes (what I would consider) wacky, but other-times profound, and always thought-provoking. This book is all fresh material (not recycled from his blog), but it definitely reads with his voice. Excessive routine is the enemy of intelligence. Exposing yourself to the same types of input over and over again won’t help you grow… Establish basic routines only to provide a stable foundation for branching out into unexplored territory. Push yourself to do things you’ve never done before. Keep exposing yourself to new experiences, ideas, and input. 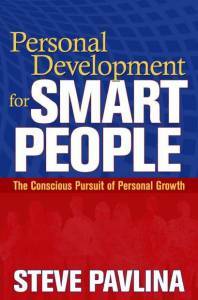 The more novel situations you en-counter that violate your expectations, the faster you’ll learn and the smarter you’ll become. Teaser Tuesdays is a weekly bookish meme, hosted by MizB of Should Be Reading. I’m trying a variation on the mainstream “Teaser Tuesdays” concept. Instead of quoting two sentences from a random page in the book, I’m selecting a snippet that reflects qualities I find in the book.